Golden Nepal is one of our classic favorites. Smooth, flavorful but with only medium astringent, this tea can be drunk ‘neat’ or with most any addition(s) that you choose but make those additons slowly until you become familiar with the luxurious flavor that this tea possesses. You may just decide to moderate those additions going forward. Drunk ‘plain’, our current Golden Nepal is quite ‘dry’ and thirst quenching. 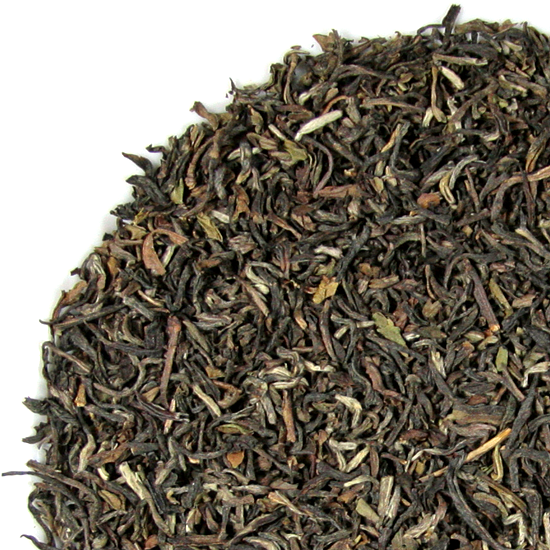 This tea has been a Tea Trekker customer favorite for longer than we can remember (30+ years). As of March 2018, we are sourcing our Golden Nepal from the Guanse Tea Estate, an historic growing area for tea in Nepal since 1843. This leaf is slightly different than the leaf that we have been sourcing from the Maloom Estate, but we think it is a fairly straightforward change and that those of you who have grown to love the Maloom will like our new Golden Nepal just as much or even more. 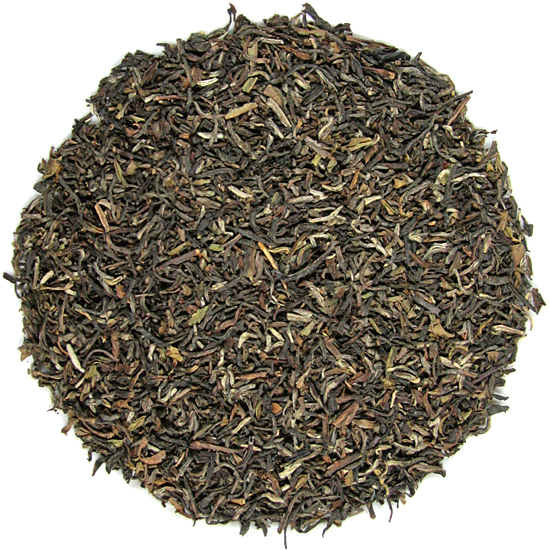 This Nepal black tea is more highly-flavored than its predecessor, and in many ways a more straightforward, classic steeper. We like it a lot, but it is different than the Maloom – most noticeably that it is significantly ‘drier’, so do be aware of this. Given the weather and earthquake problems in Nepal it is amazing that they can even bring in a crop of tea every year. This leaf is certified organic, which is a nice bonus for this tea ‘from the top of the world’. If you are looking for an alternative to Darjeeling or just a smooth, lighthearted change of pace from most any other black tea; if you prefer a black tea but don’t want anything ‘strongly-flavored’; or heck, if you are a white tea drinker and want something with a bit more flavor (there is a strong reminiscence in flavor to a leafy white tea in this leaf), then this tea is for you! It makes a great iced tea if you like to mix your iced tea with lemonade in the style of ‘Mr Palmer’, or mix part iced tea and part fruit juice or punch. The liquor is fairly dark, and colors quickly as it steeps initially!